Installing Ubuntu side by side with Windows 10 is tricky with ASUS ROG G752VT. After wasting hours on this here is the steps how it worked. Windows, hold the Shift key while selecting Restart. Go to Troubleshoot > Advanced Options: UEFI Firmware Settings. The tool used for shrinking Windows partitions is “Disk Management”. To start “Disk Management”, right click on the Windows start button in the bottom left corner of the screen and click on the “Disk Management” option. A screen will appear listing all the disks available to you and the partitions on the disk that is selected within the window. The hard drive is usually disk 0. It is usually easy to spot because it is larger than the other drives and already has a number of partitions on it. As you can see from the image above there are 4 partitions. The amount of partitions on your hard drive may differ. 4. Change from RAIDto AHCI mode [ Sata Configuration — > Change RAID to AHCI] then Save & Exit. 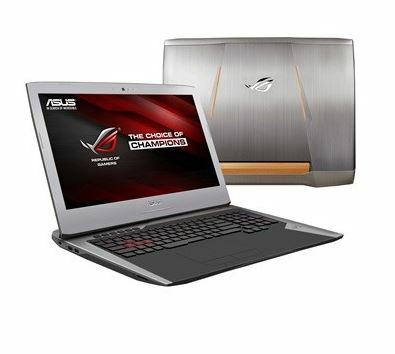 Now your ASUS ROG G752VT will work with Ubuntu and Windows 10 dual boot.